Do you have a shop, café, restaurant or provide a professional services. Are you promoting your business with a sign, if not then a business with no sign is a sign of no business. 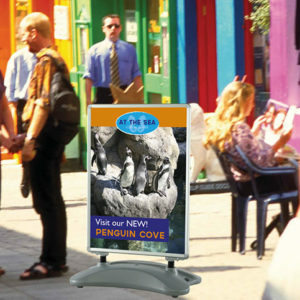 Pavement signs are a great source of advertising and can help in obtaining the attention of passersby. 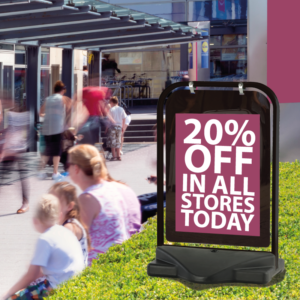 We offer a range of indoor and outdoor pavement signs, our water base signs are the best option for windy conditions. 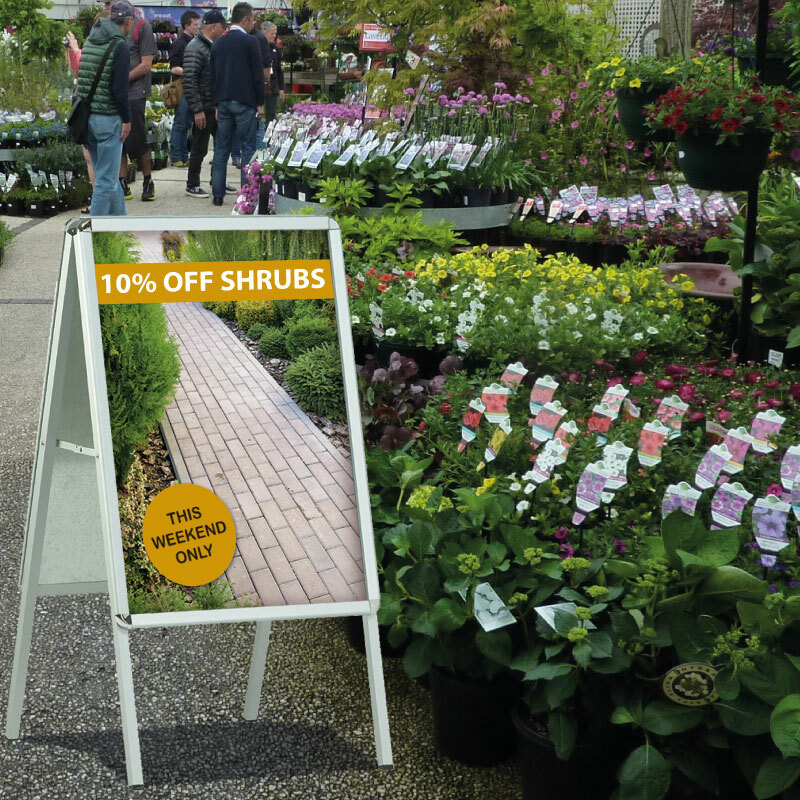 Are you are looking for sign that is lightweight, portable, mobile and easy to assemble with quick change graphics for those seasonal promotions? Well we have you covered, our signs are priced with affordability in mind and come with a number of colour options. 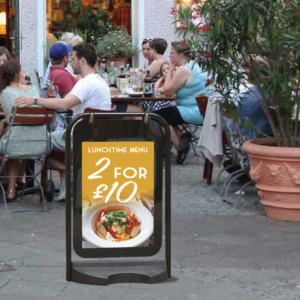 So become visible to your customers with a high impacting pavement sign.